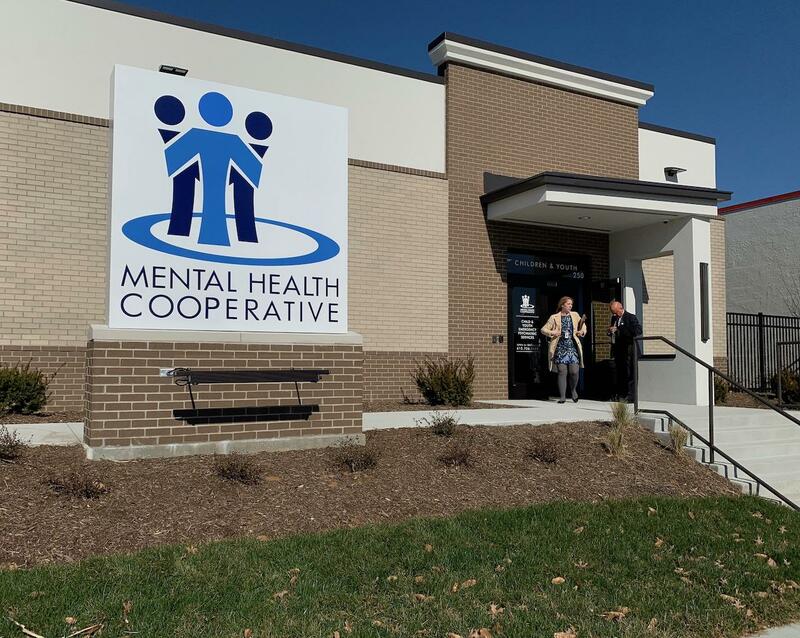 The Mental Health Cooperative's new government-funded crisis center in Nashville includes several holding areas for patients as well as one-on-one meeting rooms. Nashville police have a new place to drop off people who've been arrested and need a psychiatric evaluation. But the new 24-hour facility in Metro Center is also an emergency room for anyone else in the midst of a mental health crisis. The state pitched in $15 million to help fund construction of the Nashville crisis center and similar facilities in Memphis, Jackson, Chattanooga, Cookeville and Knoxville. Local governments had to put up matching money and put forward a plan to fund operations. The facilities, which are now mostly up and running, are primarily meant to divert people in crisis from going to jail and free up police officers from spending an entire shift waiting in an ER with a patient in handcuffs. The new center at 250 Cumberland Bend, which opens Saturday, has a side door with a secured entrance for those patients. But the majority of patients — a projected 700 per month — will come in through the front doors, either on their own or with a family member. One corner of the new crisis center is an entrance solely for children, along with its own screening area. "If their loved one is depressed and having some suicidal thoughts but has insight, they know they need treatment, bring them here," says Mental Health Cooperative's Amanda Bracht. "You don't even have to engage law enforcement." The facility even has a special entrance and separate screening area for children. Bracht, who oversees clinical services, says the treatment should be far more timely than if they presented at another emergency room, where triage protocols often push mental health cases to the back of the line. "We really want to let the ERs be really good at dealing with the trauma. Let us deal with the mental health crises," she says. Ability to pay should not be a factor: At this point, there are no fees for the crisis services, which are covered by state and local government along with the state's Medicaid program, TennCare. Mayor David Briley says the city's recurring investment acknowledges in a physical way that mental illness is a disease that should be treated compassionately like any other ailment. At Wednesday's grand opening, he noted that three of his eight cousins have died from suicides or overdoses. "People in crisis deserve quality care that is safe and timely and comprehensive," Briley said. "And this new facility gives us a new way to do that." Colleges around the country are weathering explosive demand for counseling, with a third of students getting some kind of treatment, and Belmont University is feeling the heat. So the campus is trying to reformat student counseling to address a never-ending waitlist. Rutherford County Schools are trying to confront a rise in student anxiety. They've organized a seminar Thursday night for parents, and counseling professors from MTSU are offering tips on how to handle anxious kids and navigate professional help. The Davidson County Sheriff has started construction on a facility that will force the local criminal justice system to change how it treats people with a mental illness. But at its official groundbreaking this week, the sheriff admitted he still has some convincing to do. A Vanderbilt researcher says the country needs more counselors in schools to respond to a staggering rise in suicidal teens. Pediatrician Greg Plemmons' study published in the journal Pediatrics finds that more than twice the number of school-age children are being hospitalized for suicide attempts or thoughts, compared to a decade ago. The heaviest periods, he finds, are during the school year.